HIV/Aids Is Not A Curse! I wrote about my eventful journey to EC Osondu’s reading at the Southbank, Some Mothers Do ‘Ave ‘Em, I must add the journey to and fro was worth it. EC Osondu is as interesting in person as the stories on the pages of his book, full of warmth and humour. It was an evening which made the cold winter feel like spring on my skin because on my way home, I would remember some of the humorous moments and smile to myself. Voice of America, is a fine collection of short stories filled with voices that stay with you long after you have finished reading each one. I started reading VOA during one of my treatment sessions with a venflon in one arm and some funny drip gracing my body. Though I have developed a personal technique of getting through my time at the hospital, a form of escapism which takes me to a paradise of some sort, on this occasion, VOA was my escape route. I was so hooked on the opening story, Waiting, I could careless about the fact that the site of the venflon in my hand was itching like hell. Nothing was going to distract me from Orlando’s voice. And so, hearing the author speak, I understood this was a voice written with a real passion for the character to tell his own story. Every character has a story, so does every writer. Osondu, during his reading and talk at the Southbank which was chaired by Bernadine Evaristo, revealed he worked in advertising before moving into the writing world. The man, who won the Caine Prize in 2009 and has reviews about his collection of short stories on the pages of newspapers and bloggers either loving or displaying an unfounded misplaced anger about VOA, also got the rejections letters we all hate. Hence, when he said it is important for a writer to be rejected a few times because it helps you determine if writing is for you or not, I understood where he was coming from and I must say I agree with him. It is not all writers who get that break with the first manuscript they send off. Some after 10 rejection letters are still trying to break in and others, one short story and its a home run. While, I don’t know what both angles do to the psyche of each individual, I would like to think those who get a few knock-backs before the yes, develop a tenacity to keep going, persistence and resilience become the mantra of their existence. I can say that as a freelance journalist, you dare not give up after hearing no or your passion starts to die and before you know it, it gives up on you. I have to review VOA for a publication, so I cannot get into every intricate aspect of it. However, from the talk, it was obvious this is a book which on one hand explores the continuous fascination and let’s be honest, the fantasy we as Africans have of the mighty US of A, among other themes. We have this strong view of Uncle Dollar and Bling being the land of wonders, forgetting that the other side of the green grass has its own challenges. So, there are a few stories in this collection which deals with this reality but what’s also interesting is the number of female voices we hear and how they encompass a lot of things women are, strong and vulnerable among other idiosyncrasies of being a human beings, who belong to the female commando unit of both sexes. When Osondu was asked by Evaristo about his use of the female voice in a number of the stories, his response was “Nigerian men are very testicular,” which received rousing laughter but he went on to add “You are a greater human being if you as a man recognise the feminine side.” He also noted the book was dedicated to his mother and talks about the impact she had on his life and the folklore stories she used to tell him. Asked if he would consider himself to be a feminist, Osondu said YES because it is important to recognise and respect the female voice. I found this very interesting that a man and a Nigerian man would say he is a feminist. As a woman, I have refused for a very long time to call myself just that. I don’t like labels, name tags or being grouped as part of a homogenous society. I appreciate my individuality and ability to make my own decisions, choices and form my views on things as I learn about them. That is not to suggest I think all feminists think alike or that they all believe men should be burnt at the stake. I believe in equality and do not for one second deny the fact that society still has a long way to go before it fully grasps the truth that women are not less in any form shape or way. However, hearing a man say he is a feminist on one hand sounded like a wake up call and who knows, maybe it is time I revisit the definition of feminism I have held for a long time. If Osondu can publicly declare he is one and connects this with the need for the female voice to be respected, then I as a woman need to move away from what all others say about feminism and define it for myself and with a personal definition, be able to shape the stance I take and the need for equality and respect for women, and what it means to be a woman within the wider framework of society. 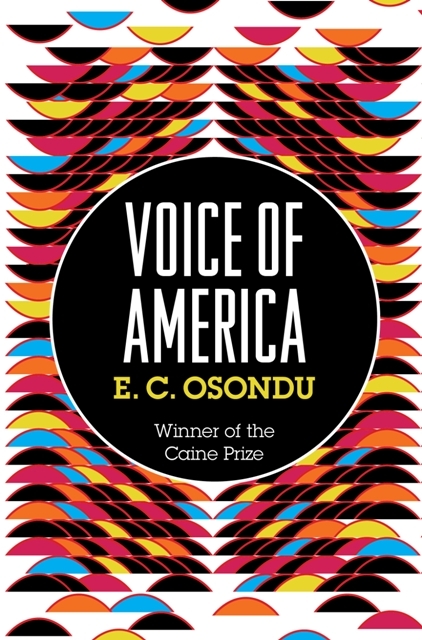 However, this is a topic for another day, right now the focus is on EC Osondu and his book, VOA. The voice of children and young people was another topic which came up in the course of the discussion with Evaristo and the audience. If like me, you grew up in Nigeria, then you know children are to be seen and not heard. A point Osondu also made on the night as he talked about his interest in young people’s voice because their voice is honest and vulnerable. Who is an African writer? This is a question that will continue to have divided opinions with no answer in sight but more interesting is the whole debate about what it means to be called an African writer and why some people refuse vehemently to be referred to as such. Having been fortunate to interview a few people in the last year and half, the point of view on this subject varies and with it, comes the burden of expectation about their literary offering. But for Osondu, who by the way is Nigerian, just in case you are yet to figure that out, when he was quizzed as to whether or not he is speaking for Nigerians through his writing, he said “If there is anyone who should speak for Nigerians, it should be the Ministry of Information.” Plainly put, that is not his job! He expanded on the expectation that comes with being burdened as a writer representing Africa? What do you write about or don’t write about? But for him, writing about Africa is not a burden. When the discussion moved to the writing process, some home truths for all budding/aspiring writers, Osondu said it is important to know what was written before you and of course, know your competition. Don’t reinvent the wheel, be original. The writing process is hard work. Lean on your strengths as a writer, put the ideas down and assemble it later and let it build itself up. Everyone’s writing process is different. You have to know what yours is and develop it. Going to a creative writing workshop will not help if you don’t have a story to tell. There is a business aspect to writing, which you must know and that business means having stories and writing them. Get the experience and use your raw material. It is only human to worry when you start getting rejection letters. Simple writing is effective, keep it simple and direct. The short story form is very strong in America, where he wrote most of the stories in the book but says it would be impossible to convert him to an American writer. Does anyone remember that opinion piece and the vitriolic comments it generated? Let me use this opportunity to say…sometimes, we Africans are our own worst enemies. There, I said it. If you don’t like it, tough! Her views may have been unpopular with you but some Facebook status and blogs about it was downright mean and nasty. I wondered if jealousy had anything to do with it? Anyhow, back to EC Osondu and his view on the subject…her point was that African fiction, maybe more precisely, Nigerian fiction needs to lighten up and it was a call for more diversity. If Achebe (Nigeria) had won, more people would want to write like him and that I think is a fair point. Enough photocopies, more original versions. I end on this note, EC Osondu is more than a new voice. He is a magnetic voice and VOA‘s nomination for the Commonwealth Writers Prize was very well deserved. Nevertheless, get a copy, read it and make up your mind. This entry was posted on Thursday, February 24th, 2011 at 5:24 am	and is filed under Africa, Book Reviews, Nigeria, People. You can follow any responses to this entry through the RSS 2.0 feed. You can leave a response, or trackback from your own site. Awesome piece. A lot to learn. As par the rejection letters…I think I have about a million of them now :)..but somehow, you realize that if you don’t write, you are damned and if you do, you are damned. In the first case, you are addicted to writing, so you can’t help an addiction. If you stopped, you are not hurting anyone but yourself. In the second case, you are damned if you continue writing because you live with that fear that it’s only going to get rejected again. So here I am, between the proverbial devil and the deep blue sea. All in all, I loved this piece and I am glad for people like EC Osondu – his humorous touch in answering the serious questions. Thanks Lara, your story is the same with a few people I know but one cannot give up, you have to keep at it. And you are spot on, how can you stop an addiction that is as good as this one and gives you great joy?